Fall is a time for renewed energy; the air gets cooler, school has begun and families start to settle into new schedules. But wait; take a minute to think about all the fascinating opportunities fall brings us. It is a time when we hear the crinkle of leaves under our feet and the hooting of an owl, and we see squirrels preparing for a long winter. Though our schedules may have become crazy and at times, daunting, take a weekend afternoon to get out in nature to the see the transformations that fall bring. As I have often said, Danbury has a wealth of resources to partake in, activities to join and the serenity of quiet times. When my children were younger, we would often make a fall collection bracelet of items that represent fall. Take strips of contact paper 4 inches wide and long enough to wrap around your child’s wrist. Draw a large rectangle in the middle of it and remove the backing just in that area. Then wrap the bracelet around the wrist with the sticky side out and tape the two ends together. As your child walks through the park, collect items that represent fall and stick them onto the bracelet. Your bracelet might contain colored leaves, acorns (they are poisonous so be careful that your child does not mouth them), small stones, tall grasses with fluffy tops and seed heads. Save the seed heads to plant in your garden next year. Marigolds, Mexican sunflowers or milkweed can be dried, the seeds taken apart, placed in a baggie and saved till next spring. Apple picking is plentiful this year. Many local sources are within a short drive and offer much more than apples. 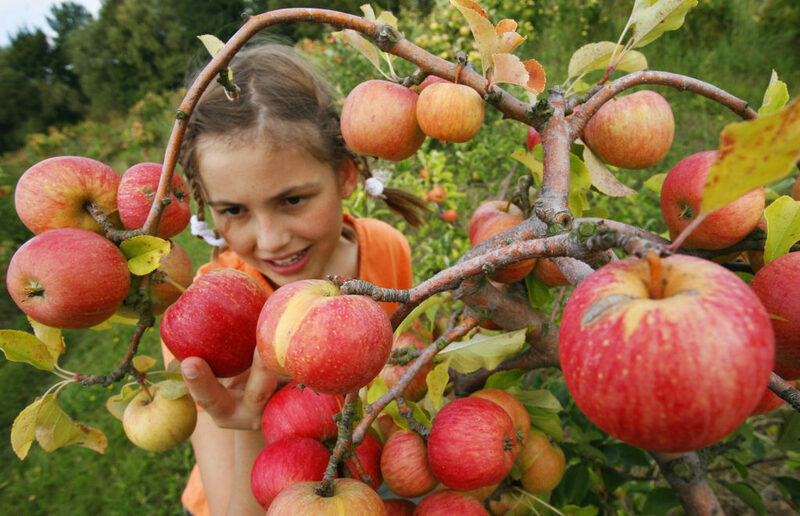 Children can help create many different apple recipes, such as apple or fruit crisps, or apple pie for their snacks. Making applesauce from scratch is a really easy. Children can cut their own apple chunks, and an adult can core and peel the apple or leave the skins and seeds in the mix and use a Foley Food Mill to extract the applesauce. Either way, children love the experience of cooking and eating what they have made. For a listing of pick-your-own farms, visit https://www.orangepippin.com/orchards/united-states/connecticut. There are many locations to go for hikes. The new Brookfield Still River Greenway has easy access for hikers, strollers and bicycles, and it goes along the Still River in many places. Wildlife is in abundance and areas to rest are available. Access to the Greenway is behind the Brookfield Play Park or close to the Four Corners in Brookfield. Areas in Danbury include Tarrywile Park and its children’s garden, Farrington Woods off Mill Plain Road, Bear Mountain or Old Nature Quarry for more experienced hikers. Don’t forget activities to do in Danbury. The Danbury Farmer’s Market continues until October 28, and it doubles SNAP benefits. Many family activities are held on the Danbury Green, sponsored by Center City Danbury. For more information, visit http://citycenterdanbury.com/events/. Enjoy fall! !